Shadi N. Zahra, Howaida M. Abu-Ahmed, Ahmed A. Korritum, Hoda A. Elkhenany, Hoda Khalifa. 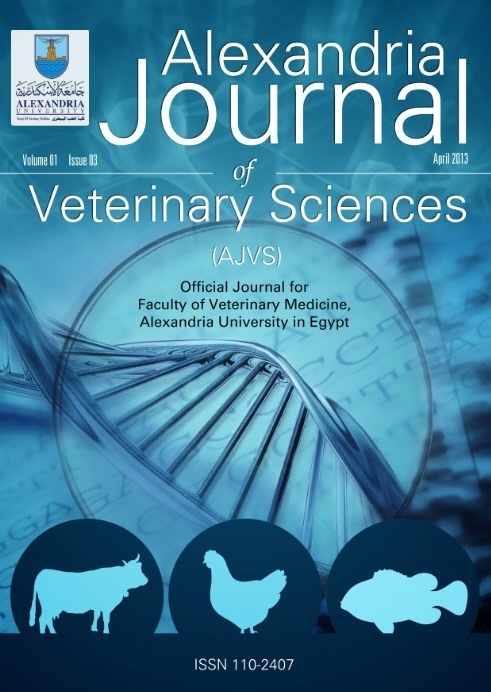 Different types of sarcoid were recorded in 145 drafting equine animals admitted to Brooke mobile clinic in Delta region, Egypt during the period from 2016 to 2018. All cases were diagnoses based on the case history, clinical picture and histopathological examination. Animals suffered from granulomatous ulcerative lesions in head and neck region (n=63), hind limbs (n=25), fore limbs (n=42) and other sites as chest, trunk and perineal region (n=15). Lesions appeared spontaneously, and its size increased with time. Some of them were round firm pedunculated while others were non-pedunculated (sessile). Some of them had characteristic fleshy ulcerated appearance while others had rough ulcerated surface. The most common types of sarcoid recorded in this study were fibroblastic (n=103), verrucous(n=8), nodular (n=7), mixed (n=20) and occult (n=7).